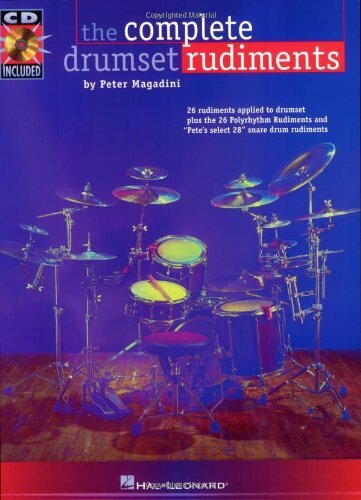 Use your imagination to incorporate these rudimental etudes into new patterns that you can apply to the drumset or tom toms as you develop your hand technique with the Snare Drum Rudiments , your hand and foot technique with the Drumset Rudiments and your polyrhythmic technique with the Polyrhythm Rudiments . Adopt them all into your own creative expressions based on ideas you come up with while practicing. The recording includes demonstrations of the rudiments and four drum solos utilizing all of the rudiments.